As I’m fond of saying, loudly, to anyone, “I am not a lawyer. If you want to know the law, go talk to someone who is.” I’m a knowledgeable amateur regarding self-defense law and some other aspects. 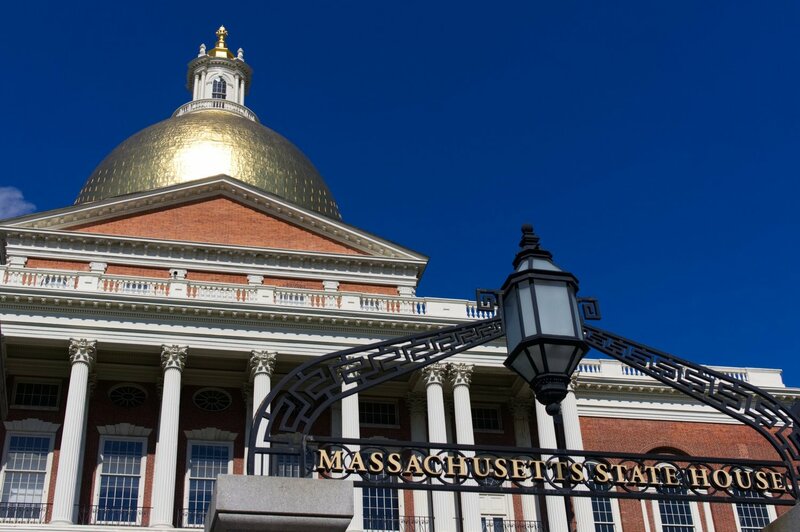 So, what I’m saying in this article is my understanding of the massive changes that were recently made in the Massachusetts criminal justice system, which encompasses criminal law, police, the court system, and the jail/prison corrections system. My sources for this were newspapers and various websites. Here are some of the changes, each with my comments. It raises the minimum age that children can enter the juvenile justice system from 7 to 12, so fewer young kids will be criminally charged. This is consistent with things we are learning about the maturation of brains in children and adolescents. Now 7-11-year-olds will not be charged with things that would previously have landed them in the juvenile system. Many of the “minor” crimes are gone. Bail changes allowing judges to use discretion and the defendant’s ability to pay when setting bail, or issuing fines or fees. Bail isn’t generally given when serious or violent crimes are accused, Those defendants will still remain in jail. Bail is usually to ensure that defendants accused of non-violent crimes show up for trial. Think of crimes like trespassing, receiving stolen property, stealing something low value, trying to cash a stolen check, siphoning gas from a car, or hundreds of other “minor” crimes. People who can’t pay the bail that is set for them languish in jail until their trial date. I don’t know the figures for Massachusetts, but in New York, 40% of the inmates in Rikers are people who could not make their bail. Housing that many people in jail for weeks or months was extremely expensive, and it kept people who were actually innocent there, too. Now judges will be able to set low bail for people who can only afford a little, while keeping higher bail for some people and no bail for the really bad actors. Fines, too. Courts can issue fines and fees. Formerly, the amount of the fine was generally, like bail, a set amount or range depending on the seriousness of the crime. People who could pay the fine did. People who could not pay were … wait for it … put in jail for non-payment. Again, clogging up the system with people who have to be fed and housed. If they couldn’t pay the fine, keeping the in jail wouldn’t let them work to earn money to pay the fine. The US Supreme Court has held that the poor can’t be jailed solely for inability to pay a fine. When people are fined an amount they can’t pay, they sometimes can make arrangements to pay bit by bit, but if they miss a single payment because they decide getting medicine for their sick child is more important than the fine, they are classified as criminals again, the police have to find them again, arrest them again, and get them back in the system. That’s a great waste of police time, effort and cost, as well as more jail, court and judge time. All that could have been prevented, and much public money saved, if more people could pay their fine in the first place. Now judges will be able to levy a stiff fine on the scofflaw serial parker of a Mercedes illegally who never paid tickets for years, and levy a lower fine on the woman who works as a Walmart greeter and parked in a tow zone a couple of times to get to work on time so that she wouldn’t be fired. Both women will be able to pay their fines and get out of the court system. The court system had become unbelievably clogged over the years, with vast numbers of people, even innocent ones, unable to make bail, or guilty ones unable to get out of the cycle of being arrested for nonpayment. This change really should help police and help unclog courts and the whole criminal justice system, and it will save much public money that is currently being wasted by keeping people in jail or prison who don’t need to be there. More use of diversion programs other than jail for veterans, mentally ill and addicts. The programs could be community service, education, medical or other treatment, and the idea is that people could do this as an alternative to jail time. If the program is completed, there will be no record of the criminal charge, thus allowing people to be eligible for jobs once they were released . That benefit should be a big incentive for people to take the programs seriously, and finish them. That’s a real step toward realizing that addiction, PTSD, and mental illness are all medical conditions that will respond to medical treatment, not incarceration. They are not crimes, and people who have them are not necessarily criminals. Police will need to get the training that they need to deal with these folks more effectively, while still recognizing that, like domestic violence situations, they are sometimes dangerous to police. Police will often still have to “be there”. Like domestic violence training for police that lets them get women in touch with women’s shelters the first time they are called to a home (proven to greatly reduce DV murders) police will be able to help people and families that don’t belong in jail. Expunge criminal records for minor crimes committed under the age of 21 and marijuana crimes by adults for things that are now legal. Violent crimes will stay on the record. That will let people be eligible for more jobs, eligible to get a gun permit, and so on. .A nice touch is that one gets only one “free ride” Young folk who commit more than one crime will not have their record expunged. That’s quite an incentive to stay law-abiding after one run-in with the law. Felony larceny raised from $250 to $1,200. Higher penalties for repeat operating under the influence. Better handling of people in prison. No solitary confinement for kids or pregnant women, and people in solitary will have to be reviewed periodically. Compassionate release for elderly or terminally ill prisoners who aren’t a danger to anyone. Again, who could object to that? No mandatory minimum sentences for some low level drug offenses. Formerly, judges had their hands tied by these laws so they had to sentence drug addicts and people who sold small amounts of drugs to support their own habits to the same long sentences as the big time drug dealers. Now judges and prosecutors will have freedom to make the sentences more reasonable. Trafficking in fentanyl or carfentinyl would, however, earn new, higher minimum sentences, as those are some of the most deadly drugs around now. This, together with the drug treatment programs, not jail, mentioned above, should make it possible for more people to stay out of prison, while keeping the really bad actors in. Law enforcement and education folk will now be able to get into sealed criminal records for things like firearms licensing and screening for jobs that involve working with children. Again, it seems reasonable, but we will have to see how it works in practice. Stun guns and Tasers are now legal, sorta. Recent changes to the law that has made them illegal, spearheaded by the Center for Individual Rights, a conservative law firm, involving me as one of the plaintiffs and recently chronicled in this column made a successful Second Amendment argument to the US Supreme Court that those “weapons” were covered by the Second Amendment and should be legal. In its “wisdom” Massachusetts recently changed the law, so that Tasers and stun guns would be treated just like firearms, and would require a License to Carry (LTC) to own, but it is still illegal, apparently, for people without nLTC to buy an electronic weapon. That is trying to be straightened out now. Stay tuned for new developments. A new Red Flag law, not part of the omnibus bill, but signed into law at nearly the same time, makes it possible for family or household members who think someone might be a danger to themselves or others to go to court to suspend that person’s gun ownership rights. The intent, of course, is to reduce suicides, and other gun deaths. This “extreme risk protection order,” if granted after a hearing, will require the gun owner to give up firearms license and all guns to local police. In some even more extreme situations, where the situation cannot wait days for a hearing, there is an “emergency extreme protective order” that would take effect immediately, without notifying the individual and would expire in 10 days. There is a substantial penalty for misusing this law. Anyone who requests this kind of court order with false information or with intent to harass will face a fine of $2,500-$5,000 and up to two and a half years in jail. These reforms can be seen as a welcome change for the better in the reasonableness and better treatment of people. It took a massive overhaul to reform the system into something more acceptable to most citizens, more equitable and less costly, while still improving public safety. Punishment will become, hopefully, a much better fit to the crime. It should reduce recidivism. It should allow more people to go back to their jobs, families and lives rather than being stuck in the corrections system. This should allow more people to be hired for jobs that ask “Have you ever been convicted?” on the company’s job application form. It should help people with nonviolent pasts to find jobs after they are out of the system. Along the way, the state stands to save vast amounts of money by not criminalizing children, by not spending money on the thousands of people who cannot pay their bail or fine, and by keeping in jail or prison only the really violent people who belong there, not those who have been overloading the system for years. Three of these will affect gun owners. One is that expunging criminal records for minor or marijuana offenses could make people in that situation eligible to get a gun license and buy guns here. Another is the stun gun and Taser law, which will allow gun owners to add these to their collections of defensive tools. The third is the Red Flag law, which gun owners should be aware of, and try to stay far away from. I think this is, all in all, a reasonable way to change the system. We will see how it plays out over the next few years. The Second Amendment Foundation (SAF) is a United States nonprofit organization that supports gun rights. Founded in 1974 by Alan Gottlieb and headquartered in Bellevue, Washington, SAF publishes gun rights magazines and public education materials, funds conferences, provides media contacts, and has assumed a central role in sponsoring lawsuits. 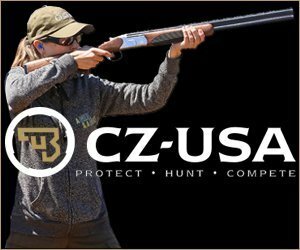 The Citizens Committee for the Right to Keep and Bear Arms (CCRKBA) is the lobbying affiliate of the SAF.